As a gifted person, what should you do with your life? How should you use your talents? How can you find your inner callings and attain excellence in your domains of interest? Answering these questions requires persistent work over time, and a commitment to pushing yourself past the limits of your natural intelligence. Mastery is not easy, but it is worth the work! 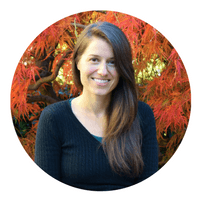 In this article, Jennifer Harvey Sallin shares the process she guides her gifted clients through, from reconnecting with their inner calling(s) to creatively blending their many domains of interest. What are you working toward in your own life? 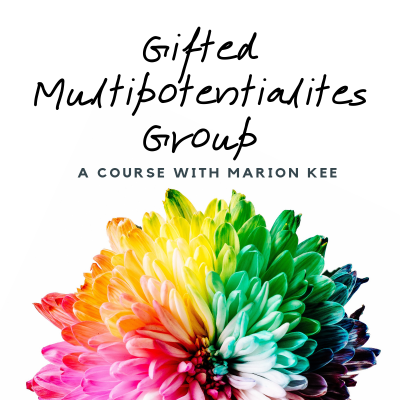 When it comes to self-understanding and creating a life based on their inner callings and highest values, my (gifted) clients who have not had to work exceptionally hard to master some of the simpler things in life sometimes find themselves face-to-face with the limitations of their ‘natural’ intelligence and capabilities. Up to a certain point, a gifted person’s innate abilities, quick learning, short-cuts, and clever ways of functioning and interacting with the world work well enough to keep them moving ahead and progressing within existing structures and disciplines; but at some point (sometimes sooner, sometimes later), they find themselves stuck, their intuitive ways and ‘old tricks’ no longer working to get them to where they feel in their hearts they want – or need – to go. They want to move beyond a limited way of functioning, beyond static structures, and beyond simply ‘going through the motions’. They have reached the limits of their ‘natural’ or intuitive potential, and need help to learn a more linear and intentional way of structuring their lives, based on some key, but often still-unconscious information about themselves. As gifted people, the ability to master themselves, their own lives, and their own sense of a satisfactory and meaningful existence, does not always come as naturally as mastering non-personal processes domains and processes. This is, in part, because self-understanding and intentional meaning-creation take an enormous amount of step-by-step linear preparation and dedicated work; and intentional structuring can feel like a painfully slow process to a gifted person used to being able to ‘skip-step’ or ‘meta-think’ their way through life. This is the point where gifted people often are stuck when they reach out for coaching. They know they are capable of more – not just more productivity, but more joy and sense of meaning in their lives. However, they don’t seem to be able to figure out how to create it for themselves. With clients who are having this particular difficulty, I have at times referred to the self-discovery and self-mastery process as: ‘1 + 1 + 1 + 1 + 1 = 5’. It’s a phrase I’ve used deliberately, as it is long and tedious enough to require the mind to slow down and consider that ‘5’ represents a result – a culmination of the various steps (the ‘1’s) that are required to reach ‘5’. In other words, ‘5’ (self-knowledge, meaning, and mastery) isn’t the starting point. Unlike much in a gifted person’s life that can be obtained by jumping ahead, mastery must be approached, to some degree, in a linear way. Granted, a person gifted in a certain domain may be able to reach a certain level of mastery more quickly than a non-gifted person in that domain; however relative to the gifted person’s own speed in other domains, even their accelerated pace here will likely feel subjectively very slow. The question is, of course: how to structure and maintain motivation toward the slow and deliberate process of mastery when you're used to going fast and learning almost "by accident"? A wonderful resource for answering this question in your own life is Robert Greene’s book Mastery. Greene wrote his book after spending years reading the biographies of and interviewing masters across a wide range of fields. In their stories, he detected a common linear journey they each took to reach their own version of mastery - a journey which, I was delighted to see, matches the very same process I have been intuitively guiding my gifted clients through for years. Greene concurs that potential or ‘genius’ does not result in mastery without intentional and deliberate step-by-step cumulative action. In other words, those who have natural gifts and curiosity can’t become complacent or conservative in their knowledge and skills and expect to grow in ways that allow them to become truly masterful in any domain. Mastery is about applied giftedness – consistent applied action and practice toward the domain(s) one desires to master, including the domain of the self. Even if you’re gifted, you still must commit to a process and do the inner and outer work to build up to your potential if you want to reach a level of mastery and/or self-mastery. We each have questions, subjects, and ‘inner forces’ that motivate us from the depths of our being. These forces are the ‘inner callings’ that guide us toward what Greene calls our ‘life task’—what makes us and our potential life contributions unique. Anyone who has tried to ignore his creative callings in life knows the frustration it causes. And anyone who has not gotten in touch with his own inner callings in the first place knows the challenge of finding meaning and motivation in each day. This is as true on the professional level as it is on the personal and relational levels. So the first step toward mastery is an inner one of self-discovery and connecting with those inner callings. I often ask my clients why they are doing what they are doing. So they work in finances; do they care about it? They’re a parent; what kind of parent are they called to be? Why did they choose what they chose for their lives? These are actually complicated questions because, not infrequently, our life circumstances ‘chose’ our paths for us more than we actually did. To some extent, this can’t be helped, as many of us didn’t have the social or financial support or fitting opportunities to study or become what we would have wanted. And, some of us didn’t have the guidance to even tap into what we really wished to do in the first place. Those of us who had needy or ill parents, unsupportive parents, low socioeconomic status, or otherwise non-ideal life circumstances either had to give a lot of our childhood to taking care of others and/or suppressing our genuine interests and dreams for the common good. For gifted people, whatever that guaranteed in terms of survival, that also meant suppressing an enormous amount of creative and vital energy. Even with healthy, supportive parents, some gifted kids found that school crushed their spirits with linear learning or social rejection, causing them to turn off their passions consciously or unconsciously. I’ve heard many stories like this from my gifted clients over the years: ‘I studied computers because everyone told me I should,’ or ‘I studied medicine because I wanted to study art but my parents wouldn’t let me.’ ‘I had to quit school because my mom fell ill and I had to return home and take care of the family; by the time I could go back to school, my scholarships were expired, I had to take a job to get by, and I never did go back.’ In the personal sphere, clients have told me that they got married or had kids because ‘that was the next thing to do’ or because their partner wanted them to. For those of us who ended up doing something that does not fulfill our unique inner callings, does that mean we should just forget about our deep passions and relegate them to ‘dead dreams’? Or for those of us who never figured out what our unique callings are and have ended up in a life that others designed for us, should we just settle for a life of ‘going through the motions’ and give up on our callings altogether? No. Though we can’t go back in time and redo the events of our lives, we can take action now to reconnect to or (re)discover what truly calls to us from within and find a way to incorporate our callings into our current life. It’s never too late to learn about ourselves and to redirect, in the measure we can, our course in life – to honor what we have and are now, while at the same time molding our current lives to make room for elements of our callings. To understand better what clients’ life callings or life tasks are, I ask them describe what actions they love to do. This way, they get out of the common and erroneous habit of seeing job titles or titles of any kind as ‘callings’. Being a pianist is not a calling; playing the piano is. A calling is an action – a finding pleasure in learning, tasks, interactions, and questions. I ask clients to detail for me how they like to spend their time (via verbs, not nouns), both on their own and with other people. I ask them what kind of people they like to be with, and what activities they enjoy sharing with others. This allows them to reconnect with what kinds of actions and interactions bring them joy on a daily basis (their callings and their life tasks). Of course, for the gifted person, these lists are usually long and full of variety; but there are typically a few actions and types of people that stand out above the others, and we use those as a starting point, in combination with a few other tools, for a thorough meta-analysis. 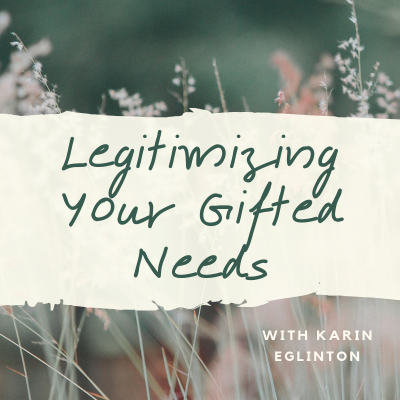 One of those tools is the lens of cognitive levels, or levels of giftedness, which have more impact than most people think on what we are attracted to and what calls to us. 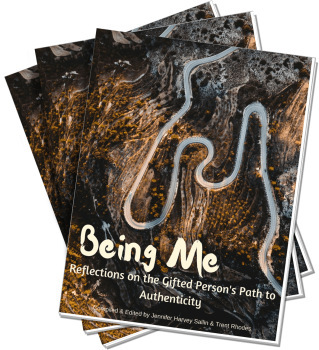 Profoundly gifted meta-thinkers, for example, are not generally going to feel called to the same kinds of actions and tasks that non-gifted step-by-step thinkers are called to, and that is okay. Both a profoundly gifted person and a non-gifted person may find great joy in playing the piano; however, while a non-gifted person may also very much enjoy the action of teaching piano, it’s not likely that a profoundly gifted person will as well. This is because profoundly gifted people – meta-thinkers – relate to the music from a vaster framework than would be conducive to teaching. Teachers must be linear enough to convey their knowledge to learning students and while non-gifted people (skilled in music and music theory) would be able to do the task quite well, a profoundly gifted person (even though skilled in music and music theory) will likely not. Much of the reason for this is explained brilliantly in an article by Michael W. Ferguson for The Polymath Demonstration Issue, called “The Inappropriately Excluded.” What it comes down to is this: understanding the way you perceive the world also helps you identify how and where you are most naturally called to fit in and interact within it. In coaching for gifted clients, it is essential to understand this cognitive map and its subtleties. Two other meta-analysis tools we use in coaching are values hierarchy determination and personality preferences. Meta-knowledge on values helps clients better understand what is most important and dear to them, which is of particular importance for gifted people, who have many strongly-held and sometimes competing values. In other words, gifted people generally have too many values to be able to realistically live them all out consistently in one lifetime, especially given social constraints. Thus, doing a values hierarchy is extremely helpful in identifying a highest value, and ordering secondary values accordingly. Meta-knowledge on personality preferences helps clients determine their inborn preferences of introversion and extroversion, figuring out how and when they like to be collaborative with others, and how and when it is most natural for them to work alone. This helps immensely in finding their unique creative flow and learning how to communicate effectively and be consistently productive. For gifted clients, this ‘self-understanding’ phase helps them reconnect with the joys of childhood and the clarity of one’s values and authentic goals; but it also comes with a measure of grief as one sees and admits how joy and unique motivation in life may have been stifled by childhood limitations and lack of opportunity. The same is true as they admit the need to choose a highest value, and therefore let go of the possibility of fulfilling their other values. And the same when they realize that as a gifted person with many talents, passions, interests, and theoretical options – many inner callings’ – they also have limits on their mental attention, physical energy and time that preclude their ability to do it all. 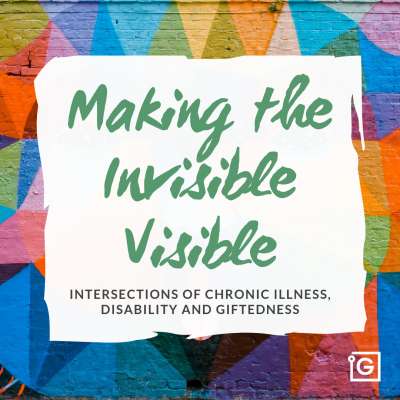 Moving through this grief involves a coming to peace with their past and past limitations, and accepting the reality that none of us can fulfill all of our potential, no matter how seemingly high it is. It also leads to a strong inner commitment to do better for themselves now than was done for them in the past, and to changing their possibilities for the better in the future. These realizations often translate to another important mental step during this process: the re-contextualizing of divergent experiences, and the dropping of self-judgments about unusual functioning. Gifted clients have often performed many unrelated jobs in a variety of fields of formal and/or informal study, and many clients believe that this reflects a flaw in their character (‘I can never stay with anything for very long’). In reality, for gifted people, boredom sets in when learning stops, and routines become quickly unsustainable, whether professionally or personally; and the more highly gifted, the quicker this generally happens. It is important that one comes to understand that divergent interests, studies, experiences, and wishes aren’t a ‘problem’, but rather basic creative material that the majority of (if not all) gifted people have to work with. Realizing that their way of being isn’t a ‘problem’ but rather a common gifted pattern helps recontextualize experiences to see that not everything is ‘wasted’. Greene himself has a personal history of very divergent and seemingly wasted experiences, which turned out to be a blessing in disguise (you can learn about it in his TED talk on The Key to Transforming Yourself). In truth, going through this reconnection and grief process wakes one up to one’s opportunities rather than only to one’s losses. We are never completely set because of our past, and there is always room to move and expand. Seeing clearly that their passions are still alive, clients at this point are ready to combine their inner callings, cognitive level, values, personality preferences, and all the divergent experiences they’ve had so far in order to create a new vision for themselves. Once the commitment is made, it is time in coaching to structure the ‘how’ of translating this vision into meaningful action—one’s life task. In Mastery, Greene talks about this phase in a rather linear way: that we apprentice ourselves to someone and learn about one domain. This application would be uncommon for a gifted person who typically crosses several or many domains via their callings or life task. For a gifted person, this apprenticeship may look nonlinear to the extreme. It can include formal and/or informal researching and studying of the structure of their desired domains, and connecting with and speaking to experts and others who are in those fields. The more highly gifted clients are, the more domains they are typically trying to master at once, connecting the various domains in innovative and meaningfully creative ways (such as Yoky Matsouka, described in Greene’s book, who combined her diverse interests in math, physiology, and engineering, along with expertise in tennis, to create an innovative model of a robotic hand). In these cases, clients cannot follow an already-established apprenticeship, but must create our own, based on what they desire to learn and master. To give you an idea of what this phase in gifted coaching can look like, I’ll tell you about one of my exceptionally gifted clients who, having landed in a prestigious, stable and, in her words, ‘terribly boring’ job as a corporate lawyer, was already reinventing her career at the age of 27. Once we passed the ‘self-understanding’ phase, where we discovered, among other things, her childhood interests (most notably learning as much as she could across domains and synthesizing information), her cognitive level of ‘exceptional giftedness’ (meta-thinker), her highest value (‘learning’), and her personality preferences (extroverted creating and logic; introverted feeling and sensing), we took that information and started to creatively design her ‘apprenticeship’ phase. Her keen learning interests in the fields of the natural sciences and self-development, her experience as a lawyer, and her love of crossing domains gave us a lot to work with. She brilliantly came up with her own year-long self-study program: ‘Create-Your-Own-Science-Law-Self-Development-Degree’ program, in which she created a list of 50 key books to read on these subjects and a list of 50 key people in these fields to personally contact and if possible, interview. Her program also included a relatively strict adherence to several self-development models, not in order to become a disciple of any one model, but to fully experience many methods and approaches and to ultimately find the common pattern among them and apply it to her work. She worked diligently through this self-created program over one year, all the while staying at her ‘boring’ job in order to maintain financial stability and to use her experiences and relationships there as a testing-ground for all she was learning in her self-created apprenticeship. This second phase in coaching, especially for gifted people, often means making decisions that might look bizarre or counterintuitive to the outside world. In cases where desired mastery is linked to career, sometimes this apprenticeship phase requires clients staying in a job they don’t love in order to maintain financial stability and/or to learn what is necessary about themselves before they are ready to quit the job and move on. Sometimes it means taking a job for less money because the opportunity to learn what clients need to learn is more important than having a higher salary. Sometimes it means making a socially misunderstood choice in order to understand a necessary facet of something that, for their apprenticeship, they must understand. One of my clients, raised in opulent wealth by a business tycoon, chose at the age of 34 to give it all up and live amongst the poorest of the poor for several years in order to learn what ‘opportunity’ really meant outside of his own life experience, and how it was to live as a huge portion of the world lives. His family didn’t understand or approve of his choice, and criticized him heavily for it; however, this part of his ‘apprenticeship’ was key for him to learn some necessary lessons about how he defined money and wealth, as well as the subjectively felt moral responsibilities carried within around those – for him – life ‘givens’. These experiences brought him to a very different understanding of opportunity than the one he was raised with, and guided his choices about how he wanted to use wealth and opportunity in his adult life. His apprenticeship changed him for the better, he believes. However long and complicated this self-designed appreticeship phase lasts, it matures the apprentice, preparing him and putting him in touch with some key people who will soon come to an irreplaceable and far-reaching influence in his life: his mentor(s). Mentors are domain-specific masters who pass down the hard-earned knowledge they have gained in their field. Mentoring is a process whereby mentors help their mentees to apply their knowledge, further structure their domain-specific learning, learn from mistakes and failures, avoid pitfalls, contextualize progress, and overall blossom. Mentoring saves mentees precious time and effort in the learning process via the advice and direction of their mentor. It is not a one-way relationship, however, as mentees also provide their mentors with something crucial: the possibility to synthesize years of hard work and gathered data, and to pass on their knowledge and passion to a ‘next-generation’ master (though it’s worth mentioning that age is relative here, as mentors are not always older than their mentees). The ultimate goal in a mentoring relationship is that the mentee surpasses the mentor in both technical knowledge and wisdom, at some point becoming a source of wisdom and progress even for their own mentor. Since highly gifted people generally blend several or many domains in their work, they often correspondingly need a mentor or mentors in each of those domains. Based on what they learned and who they met during their apprenticeship phase, they can choose who they want to be guided by in each of their chosen domains. With gifted people, mentoring relationships can be very short-lived, as gifted people often do learn quite quickly. However, in some cases, mentoring relationships can last during an entire career or lifetime (I mention this to remind gifted people that a mentoring relationship does not have to last for a long time to serve its purpose). I myself have had (and still have) many mentors – for my coaching work, for my business development, and for various aspects of my personal development. They have been important sources of strength and knowledge for me. With their help, I have been able to learn so much across so many domains, making my approach far-reaching and yet grounded in real practices that work. Thanks to my mentors, I have been able to find an equilibrium between my high idealism and innovative spirit and my faith in time-tested wisdom and tradition. Each of my mentors has helped me reach the level of mastery I am at today, and my current mentors still accompany me on the path. During this phase in coaching, clients and I discuss and plan for how the mentoring process should ideally evolve, how clients can approach their chosen mentors and request mentoring, and how they can get the most out of their mentoring relationships. Needing to relate so directly to a guide often brings up a necessary issue to confront and work on in coaching: clients’ social intelligence. Without social intelligence, all of the technical know-how or ‘genius’ in the world is of limited value. Wonderful ideas and abundant skills need to be communicated with clarity, empathy, and appropriate boundaries in order for them to be realistically applied toward mastery. To navigate the phases of self-discovery, apprenticeship and in particular mentoring, clients must know how to effectively work with others, compromise, negotiate, protect their boundaries, and speak up for their needs. In general, social intelligence is a major emphasis and endeavor in coaching with the gifted. Once again, the question of understanding levels of gifted cognition comes in, and here specifically, how those levels relate to social interaction. Beyond learning typical social dynamics, gifted people also must learn how to best communicate the vast framework of their own mental arrangement to others – quite a challenge that requires a high level of self- and other-awareness. Greene puts this phase at the fourth step of his mastery process, as he is speaking largely about mastering the social intelligence necessary to master a particular domain. In coaching, this theme is explored in particular in the fourth step as it relates to making the most of clients’ relationships with their mentors; however, it is introduced already in the ‘self-understanding’ phase via personality preferences and in the apprenticeship phase via the relationships one forms as an apprentice. It is also a salient issue later in the process, as one is honing one’s creativity, intuition, and ability to become a mentor in one’s own turn. The social intelligence theme is especially helpful to gifted people who have struggled to fit in socially or to effectively communicate their desires, needs, expectations, and plans. Practically speaking, to work on this in coaching, we do a great deal of situation analysis: we take real-life examples of communication difficulties, role play about them and meta-analyze what would be the ideal, most socially intelligent response or responses in any given situation. We take clients’ difficulties speaking up and work to find the right words; or we take clients’ dealings with manipulative or toxic people and work to find the most effective and efficient way of protecting their boundaries; or, we take situations where the levels of gifted cognition are causing misunderstandings and work to find a healthy way of communicating ‘across the divide’. Essentially, we dissect challenging social situations to find patterns in how clients tend to think about them and how others tend to react to clients’ ways of communicating – along with healthy responses in these situations. 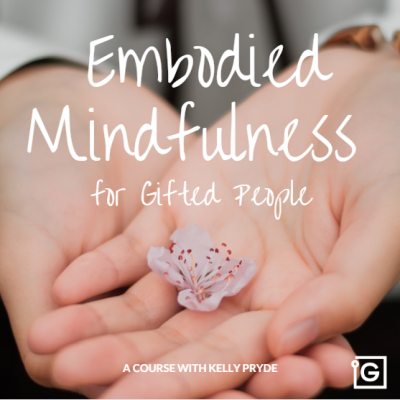 In considering the perspectives of others and getting my honest feedback, gifted clients slowly detach from long-held patterns that hinder social interaction and develop the ability to see and represent themselves more accurately on the social level – getting their needs met and building relationships that are healthy and helpful to them in their quest. This kind of social intelligence is crucial to the progress towards mastery as it enables gifted individuals to maintain a rational mind-set in social situations rather than getting over-run by or locked into intense emotional reactions. With self-knowledge, domain-specific preparation, mentoring and honed social intelligence in hand, all the ingredients are ripe for true creativity. Creativity is taking what we know or have and combining it in new and innovative ways. It is the true mixing of our minds (ideas) with our outer reality (mental or physical material) – a co-creation with our environment. Greene reminds us in Mastery that to become a true creator, we must first amass a store of knowledge, material, mental structure, and data from which to create. If clients have followed the apprenticeship, mentorship, and social learning phases thoroughly and diligently, they will have this store of knowledge. And with the basic rules, structure, data, and vocabulary of their domains in hand, we get to experiment in coaching with putting all of these elements in new and unique orders, arrangements, and mediums in order to answer the question: ‘How can I translate all of this knowledge and skill in a way that suits my unique calling?’. 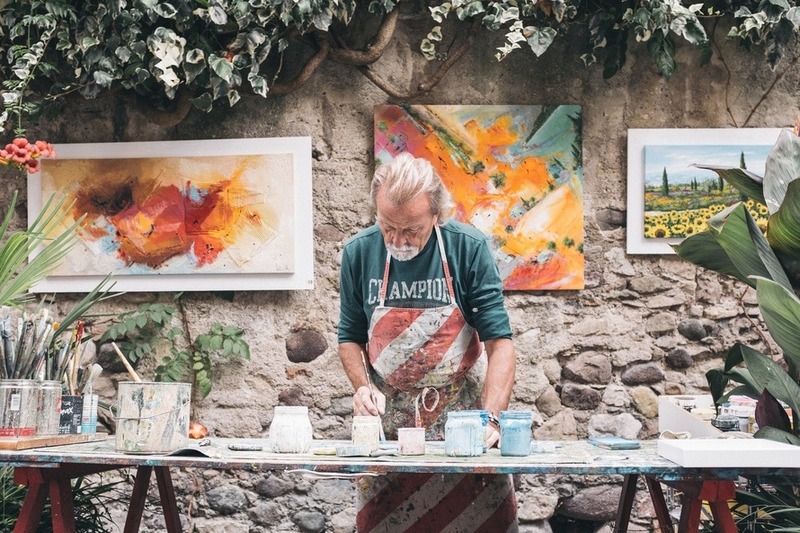 In reality, for the gifted person, elements of creativity show up constantly throughout the various phases of the mastery process—in the connections they see across multiple domains, in the uniqueness of their self-designed apprenticeships, and in the diverse yet well-matched nature of their mentoring relationships. But a full ability to create and experiment meaningfully only happens with enough experience and practice over time. In coaching, we use this phase to strategize innovative experiments, expressions, programs, configurations, approaches, theories, and practices to apply one’s amassed knowledge in alignment with clients’ life tasks. For my lawyer client, this phase translated into creating her own firm, where she combined her skills as a writer with her influence in the legal world to advocate for self-development in the medical and mental health world. Together we designed an innovative approach to helping medical and psychiatric patients have more say and control over their treatments, while helping them take a key planning role in their own positive self-development as they progressed through treatment. Her firm didn’t have immediate success, as she was still in the creative phase, testing out possibilities and seeing what worked in order to refine and restructure how she did what she did; but over time, as we used her experimentation results to guide us, her firm became more and more effective and successful. During this phase, we also use clients’ own internal data – experiences of pleasure, joy, pain, and frustration – to determine what gives them the most positive personal feedback in what they are creating. We keep asking why they are doing what they are doing, at each step, in an effort to guide them to keep moving toward what is most meaningful and rewarding to them, amongst all of their efforts. Typically, an exceptionally gifted person is able to quickly become highly competent at what they are offering – something which can become a trap. People often assume that because someone is good at something, it means that it is what the person is called to do. This cannot be the case for gifted people, who are good at a very many number of things and all those things can’t be considered callings. So, especially for gifted clients, this constant questioning of why they are doing what they are doing, and always redirecting toward creating positive, meaningful experiences, is crucial. For my client, because of her past experience as a competent lawyer, she continually found herself tempted to get overinvolved in the legal aspects of her initiative; by looking at each experience as an experiment rather than a final decision, and asking her regularly what brought her joy in what she was doing, we were able to consciously redirect her attention away from her automatic fallbacks toward more meaningful creativity – in her case, that translated into intentionally injecting more opportunities to write about the effect of positive and intentional self-development on biology, mental health, and recovery journeys. Finally, with enough creative experience and iterations of the experiment-analyze-redirect pattern, the fusion of highly developed knowledge and highly developed intuition – mastery – is reached. Here, clients are able to perform in exceptional ways in their chosen domain(s). For gifted clients, this phase includes deepening the knowledge and reach of one’s own self-created discipline. As with my client, her unique approach and voice was new at the start of her creative phase. Now, she has mastered the various domains and put them together in an innovative and meaningful way – and there is much to be developed within this new domain. With time, a client’s newly formed discipline then becomes a template which others can follow. Though Greene doesn’t emphasize this point in his book, a ‘master’ often becomes a mentor for others. Many gifted people have the experience of having always been, somehow or another, a ‘guide’ for others. As a master, the gifted person can now more consciously choose how they guide others, and in which direction they are leading others. This can serve as a wonderful way of turning an ‘innate’ role into a consciously-chosen one that blesses everyone involved. For my client, she may be ready to do that in a few years, and when she does, I know she’s going to be great! "But what about when that gets boring?" This would be the question of a gifted person, worried that as soon as they reached mastery, they would get bored again and have to start all over. The reality is that, once mastery is reached, there are countless personal and interpersonal experiences that reawaken parts of you which have been dormant or less active, allowing you to explore old territory with new eyes. Little by little, with each experience and each re-awakening, you get the opportunity to integrate your various true passions into your life and discipline. Mastery, in other words, is not a final destination, but the start of a new way of looking at passion, where you are able to be continually alive, continually creative, and always moving toward the source of your joy. This step-by-step structuring and learning process is the way to mastery. Trying to skip steps or analyze them from the outside only, without internalizing and consistently applying them, is a dead end that can lead gifted people to profound feelings of failure, extreme frustration, misunderstanding from others, and the sense that, despite one’s high potential, he or she is somehow not ‘smart enough’ or, for some unknown reason, not capable of fulfilling his or her potential. In reality, if all had gone perfectly in our lives, we would have been encouraged and supported in developing this process naturally from early childhood and would already have reached a mastery based on our true callings. But that is highly idealistic given the non-ideal conditions we were all raised in. No one had a perfectly laid out map and territory for them; all of us have had to learn hard lessons, have gotten off track, and have been lost or confused to some degree. Greene makes the very important point that that those who reached mastery in his research didn’t generally reach it in their early years. Their mastery was the result of, without exception, diligent attention and intense labor toward their passion over many years. And many of them didn’t originally have the support or encouragement they needed from parents or other authorities in their lives. But as Greene also points out, these things can be learned and remedied later on in life. My own life, and the lives of most of my clients, has followed that path – one with many twists and turns, and discovering a true calling only came later in life after seeing how all of the diverse and seemingly random pieces of experience, knowledge, and skill fit together into a beautiful, coherent whole. When one really cares about something, the intense labor needed to live one’s values and goals is much more easily accepted and carried through to completion. For gifted people who have a quick technical learning process, the “intense labor” is often the hard inner work it takes to learn how to slow down, how to take it one step at a time, and how to resolve the inner obstacles to structured learning. As we all know, any grand endeavor is much more easily approached when we have a map or guideline to work from. This is the value of coaching, and this is the great value of Greene’s Mastery. Enjoy it!